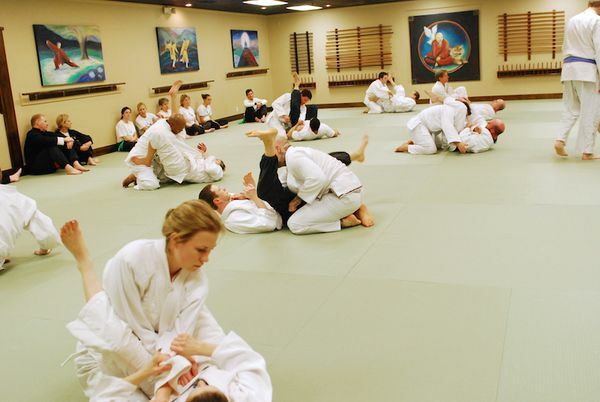 The School of Martial Arts offers Brazilian Jiu Jitsu classes under Sensei Ryan Fiorenzi. The first and highest ranking BJJ Black Belt in the state of Michigan he is also a black sash in ZMA under Sifu Brown. In the Brazilian Jiu Jitsu program students will learn and implement the concept that using leverage and proper technique a smaller, weaker person can throw, sweep, lock, and choke a bigger and stronger person. Classes will focus on learning the art as well as practical self-defense, and are intense and rewarding without the pressure of competition.